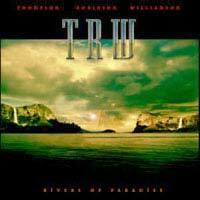 “Rivers of Paradise”, the long awaited project by TRW sheduled for June! Frontiers Records is delighted to announce the signing of TRW for the release of their debut album “Rivers of Paradise” ! Behind the TRW acronym hides a trio made up of the most incredible musicians/session players that have literally played the history of Rock and Pop music ! "T" stands for Michael Thompson. A stunning guitar player, Michael is well known to the Melodic Rock crowd for his M.T.B. album “How Long” released in 1989. He has also released two solo albums titled, “The World According To MT” and “MT Speaks”. But he built his reputation playing with such megastar names as Shania Twain, Michael Bolton, Lionel Richie, Madonna, Cher and many many more. He is nowadays one of the leading names in the guitar world and is playing is instantly recognizable and full of technique and feeling. "R" stands for John Robinson: a real legend in drumming. He released one solo album titled “Funkshui” and played with an impressive list of artists. Some names include: Michael Jackson, Lionel Richie, Eric Clapton, Seal, Steve Winwood and of course Barbra Streisand. Last but not least, is Mark Williamson, the singer and bass player in the line-up. He came to the attention of the Melodic Rock fans - together with Robinson - on the superb TOTO-flavoured album as BRIDGE 2 FAR. Later he released one solo album for GRP, entitled “Time Slipping By”, collaborated with Mike Oldfield and worked in sessions or live dates with many artists, including: Freddie Mercury, George Harrison, Stevie Wonder, Steve Winwood, Jeff Beck, Elton John, Peter Frampton. "“The concept behind TRW is that myself, Michael and Mark are true fans of classic rock and roll”, explains John Robinson. His friendship with Thompson dates back to their years in the Berklee College of Music when they were in classes together. “We have so many things musically in common that it was destiny forming TRW”, continues Robinson. “We also play in David Foster's All-Star band. Michael and I have been writing together for many years now and by adding such a great singer/writer as Mark, it is just magic. We have formulated our own style with comparisons to many rock bands such as Led Zeppelin, Bad Company, Journey and Toto”. The new album is everything one could expect from these monster musicians: brilliant musicianship, immense songwriting, soaring vocals and rocking attitude! “One thing that we pride ourselves on is all our songs have melodies that everybody will remember”, concludes Robinson: “We all believe in great songs! Quincy Jones taught me about it and by the way, this is definitely not a one off. We have already plans to start writing by the end of this year for the 2nd CD”. “Rivers of Paradise” is undoubtedly a true Melodic Rock classic in the making which should not be missed by anyone. Songs in streaming can be heard following this link ! The release is scheduled for June 2007 on Frontiers Records, with more details (including an additional very nice surprise for the fans) to be announced at a later stage. Stevie Nicks released "CRYSTAL VISIONS…THE VERY BEST OF STEVIE NICKS" on March 27th on Reprise Records. "CRYSTAL VISIONS" is a collection of songs from her three decade career as a solo artist and member of the legendary Fleetwood Mac. The CD opens with the original mastered studio version of "Edge of Seventeen" and closes with a live performance of the song recorded last summer with the Melbourne Symphony Orchestra. It includes a live version of "Landslide" (also recorded with the Melbourne Symphony), a knock-out version of Led Zeppelin's "Rock and Roll", the Deep Dish dance remix of "Dreams" and "Silver Springs" from the original master of "RUMOURS." The DVD component of "CRYSTAL VISIONS" offers 13 Stevie videos with voice-over commentary by Nicks as well as an audio interview by journalist David Wild. Also included on the DVD is a never before seen Stevie Nicks home video which was filmed during the making of the five-times platinum "BELLA DONNA" album. The Princes of Malibu on DVD! The Princes of Malibu is the story of two lazy brothers, Brandon and Brody Jenner - the sons of Olympian Bruce Jenner and songwriter Linda Thompson - who are on permanent vacation in music legend David Foster's house. Now living with their their stepfather (Foster) and their mother, the boys use David's property whenever they feel like it, and do many things - some unintential, most otherwise - to annoy David. Although their mother, Linda, thinks her sons can do no wrong, David forces the freeloaders pay rent in order to continue living in his 22-acre mansion, Casablanca. To get the money, Brandon and Brody do all sorts of things, including washing cars, creating a drive-in movie theater on David's front lawn, and working at Target. Oh, the life of luxury is gone for the brothers - and a life of sanity is slowly going away for David Foster. A Night Ranger double header today. Frontman and bassist Jack Blades and drummer Kelly Keagy talk about the band's somewhat controversial new studio album Hole In The Sun and the challenges of recording it. Jack also covers Shaw/Blades, while Kelly also talks about his current solo album I'm Alive. Rick Such, talented sound engineer for over 15 years and Eddy Cabello, proficient keyboardist and visual artist created Inside Musicast to offer you very informative audio interviews by some of the best musicians including Steve Lukather, Michael Omartian, David Garfield, Pat Mastelotto, Robbie Buchanan to name a few. February 5, 2007 – Target has long been known as an innovative company whose primary goal is to meet the ongoing needs of their valued “guests.” To that end, Target has formed a strategic alliance with 180 Music to create an exclusive line of adult contemporary music called The Spotlight Music Series. Fifteen exclusive albums in this new series will be hitting store shelves in all 1,449 Target stores nationwide beginning February 27th. The one-of-a-kind albums can be found in “Spotlight End-caps” for $9.99 each. The Spotlight Music Series from 180 Music will offer Target guests what promises to be some of the best music releases in 2007. Three separate lines will be introduced this February under The Spotlight Music Series banner: Features, Influences, and Red Mix. Produced by the illustrious Phil Ramone, this album features some of the most prolific singer songwriters of our time including Carole King, Brian Wilson, Burt Bacharach, Kris Kristofferson, Kenny Loggins, Willie Nelson, Richard Marx, and many others. Each artist has recorded two new tracks; a remake of one of their signature songs, plus a brand new song reflecting their artistry today. The songs are fresh and new under the creative genius of Phil Ramone and poignantly reflect the beauty of their artistry – making New Music from an Old Friend a timeless treasure. With over three decades of hits, two GRAMMY ® Awards and over 12 albums exceeding platinum status, superstar Kenny Loggins is one of the most enduring artists in contemporary music. He’s also one of its most distinctive and recognizable voices, renowned for the powerful emotional connection he makes with listeners on timeless hits including “Celebrate Me Home,” “Whenever I Call You ‘Friend’,” “I’m Alright,” “Footloose” and “This Is It.” By any standard, Loggins’ impact has been profound, encompassing a host of classics that are part of the essential modern American popular songbook. This newest album, How About Now, finds Kenny in peak vocal form and firmly rooted in the soulful singer-songwriter tradition that’s underscored every phase of his extraordinary career. The new disc features 12 original songs infused with Loggins’ signature roots rock/country sound with standouts including the moving new hit “How About Now” and a new version of the Loggins & Messina favorite “A Love Song”. “I’m excited to be releasing my new solo album exclusively with Target & 180 Music as it’s a chance to reach millions of music lovers and be a part of such a trusted brand,” commented Loggins. Contemporary artists including: Ben Taylor, A.J. Croce, Ky-Mani Marley (produced by Ziggy Marley), Jen Chapin, Spencer Gibb, Salvador Santana, Ivan Neville, Sarah Lee Guthrie, Wendy & Carnie Wilson, Devon Allman, Adam Cohen, Chynna Phillips, Louise Goffin, and The Nelsons, all pay tribute to their illustrious parent by putting their own unique spin on a well-known song written and recorded by their fathers. This high-energy dance mix lives up to 180 Music’s philosophy of delivering Target guests “Great Artists. Unexpected Music”. David Cassidy has re-recorded The Partridge Family greatest hits and handed his vocals off to Super Re-Mixer Craig J (Kelly Clarkson, Madonna, Mariah Carey, Cher, etc.) to create a contemporary, hip, dance album featuring Cassidy’s amazing showmanship and favorite hits to shine anew. Stephen Bishop’s exquisite songs have often evoked a tropical mood. With the Brazilian- tinged Saudade, this Grammy-winning singer-songwriter takes listeners to a private resort of the soul -- shimmering with swaying rhythms and entrancing melodies. Saudade features dazzling new material including Bishop’s duet with Brazilian singing sensation Luciana Souza on the sensual new song “Un Baile.” Saudade boasts an impressive group of guest collaborators including such musicians as Eric Clapton, Oscar Castro-Neves, Kenny Rankin and Grammy award-winning guitarist Earl Klugh. Saudade is a romantic touch of Brazil that places all-time classics from this “Great Artist” such as “On & On,” “Separate Lives,” “One More Night” and “Save It For a Rainy Day” in an “Unexpected” musical setting. Music has the power to inspire, influence and impress. Now, the Influences series gives Target guests the chance to listen to songs that have done just that for some of their favorite artists. This collection of albums has been compiled by some of today’s most popular performers, highlighting the songs and artists that had a significant impact on their own singing/songwriting career. Sarah McLachlan, Dave Matthews Band, Wynonna, Avril Lavigne, Joss Stone, Jamie Cullum and Jason Mraz have each handpicked an albums worth of songs that they have a strong connection to. Each CD contains liner notes written by the artist about why they chose their particular selections and gives personal insights into the song’s impact on their development as a musician. With the Red Mix series, 180 Music has put together five fantastic compilation CD’s including: Singer Songwriters, Nashville Now, Women of Song, and Contemporary Crooners. These releases feature albums made up entirely of hit tracks from major established artists such as: Elton John, Kenny Chesney, Sarah McLachlan, Tori Amos, Ryan Adams, James Blunt, Elvis Costello, Anna Nalick, Rufus Wainwright, and many others. Classic Bob Marley and the Wailers is being released around the 30th Anniversary of Marley’s classic album Exodus. It features rare recordings from Marley’s estate that have not been widely circulated. 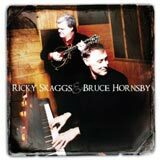 Virginia cool meets Kentucky thunder in a collaboration between genre-bending pianist Bruce Hornsby and multi-instrumental virtuoso Ricky Skaggs that expands the terrain of bluegrass. Highlights include a meditative, minor-key transformation of Hornsby's "Mandolin Rain" (with Skaggs on the title instrument) and a downhome revival of "A Night on the Town," though newer originals such as "The Dreaded Spoon" seem slight in comparison. The traditional "Across the Rocky Mountain" and original instrumental "Stubb" shift the spotlight to Skaggs, though Hornsby's sophisticated chord progressions fit fine within the backing of Skaggs's Kentucky Thunder band. Guests include Jerry Douglas and Stuart Duncan, with John Anderson contributing vocals to a wild-card rendition of Rick James's "Super Freak," which provides the closing bluegrass hoedown. Michael Thompson has been busy recording a blues album with Michael Bolton and working on albums for Travis Tritt with Randy Jackson producing. He’s also been currently working on a new Michael McDonald album. Also, The new project "TRW" (M.T.,John Robinson and Mark Williamson),The new album will be released in June on Frontiers Records. And also planning to release the re-issue of Michael Thompson Band at the same time. The album including new song "Wheelchair" and two unreleased songs. 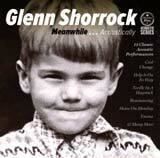 Penned in an attic in the dead of night, in between the unprecedented multi-million-selling global success of Little River Band and an uncertain solo future, Will You Stand With Me is a powerful assertion of Glenn Shorrock's vocation as a singer-songwriter which resonates more strongly through the years. "'I am the willing critic, I'll cut you down to size/ I'll pounce on mediocrity but I’ll cherish the surprise'. I think that's the best lyric I've written," he says today. "That was on my first solo album, Villain of the Peace, but I put it right at the end. This time I wanted to put it first. I wanted it to say what it says." Meanwhile, of course, a dozen of Glenn's hits have morphed out of the charts and into the permanent fabric of popular song. Meanwhile, Help Is On Its Way, Emma and Seine City were his before he joined LRB, the band that took them to the world. Home On Monday, Cool Change, So Many Paths, Rock'n'Roll Soldier and Soul Searching all came later. All are reclaimed here with the immediacy of acoustic performance, produced by Glenn, mixed by Michael Costa, performed with the key sidemen that have accompanied him on the road for the last decade – keyboard player Stewart Wilkinson and guitarist Pip Joyce – with an intimate cast of accomplices playing rhythm, violin and slide guitar. Needle In A Haystack, one of the few here Glenn did not write, is an affectionate memento of his first band, the Twilights, who made it #1 in Melbourne in 1966. Seine City is his original acoustic demo, recorded in England when Axiom broke up in 1972. "Unrequited Love was an old demo I did when I left LRB in '82," he says. "My wife always liked it and she said 'You should do that one'. There's a lot of those kinds of circles involved in this album and I think that's why I enjoyed it so much. It feels good. It feels right." Other surprises include a version of Emma that's closer to the CSN-inspired demo Glenn took to LRB in '75, and a gospel piano version of his first solo hit of '79, Dream Lover. "And Reminiscing is really bare bones," he adds. "I'm interested to hear what (author) Graeham Goble makes of it." The world, one suspects, will make of it much the same as it always has: a memory that's forever vital and always welcome. "They all still work," Glenn concludes. "That's why I keep doing 'em. It's called body of work, which I think is a mark of a performer's worth."